Speck today announced that it has teamed up with Scosche to create a new Presidio Mount iPhone case that is designed to work with Scosche's lineup of MagicMount magnetic mounts. 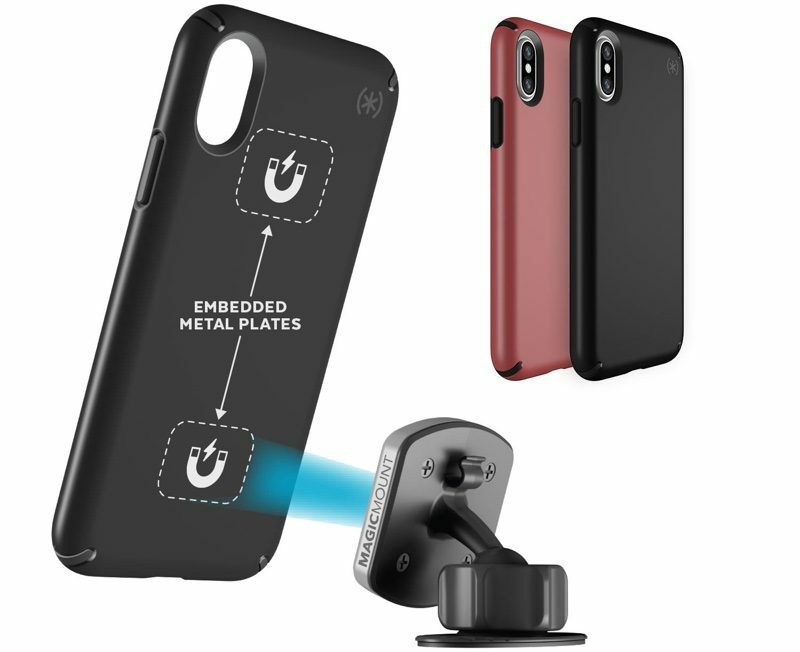 Scosche's magnetic mounts typically require iPhone users to attach metal mounting plates to their iPhones or iPhone cases using adhesive, but the Presidio Mount includes two steel plates that are embedded between the layers of the case. Speck says the metal plates are invisible because they're mounted inside the case, and they've been positioned so they won't interfere with wireless charging. 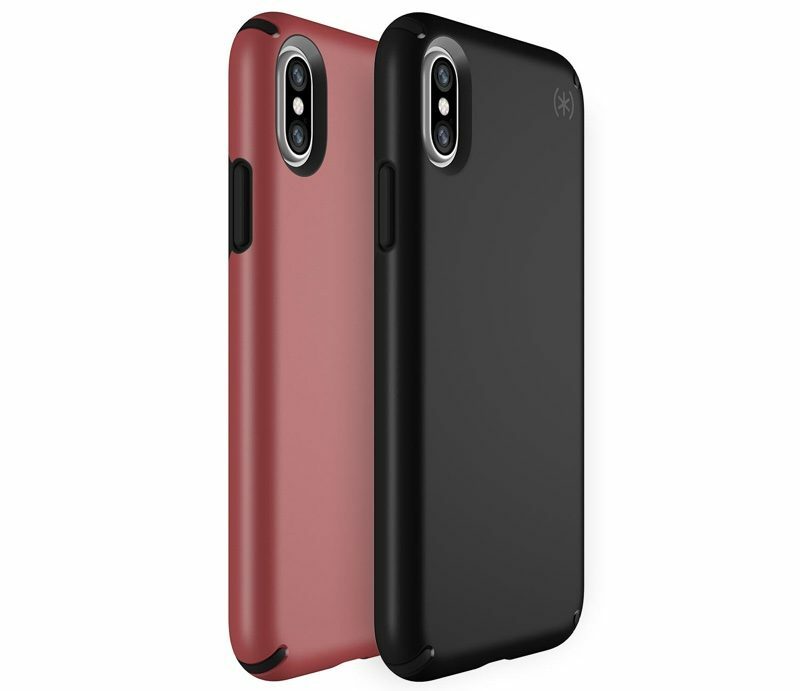 Like Speck's other Presidio cases, the Presidio Mount includes two-layer protection that can keep an iPhone from getting damaged from drops up to 10 feet high. The inner layer is made from an impact absorbing rubber Speck calls Impactium, while the outer layer is made from a polycarbonate designed to disperse shock. The Presidio Mount is compatible with all cradle-free Scosche MagicMounts and it will be available for the iPhone 6, iPhone 6 Plus, and later, including the iPhone X. Speck plans to make the Presidio Mount available for purchasein February of 2018 and it will be priced starting at $44.95. Seriously! People gotta start saying no to these insane prices, or they’re gonna keep skyrocketing for no other reason. $45? Apple tax. We’ve always paid more for hardware. Your average Apple customer is middle class or better. Or low income and making stupid financial decisions buying Apple products. Seriously, if you’re lucky the wireless charging won’t be effected much. But I’ll bet this will play havoc on NFC aka problems with Apple Pay. Now, that would be top shelf idiocy. I would reckon with the least of a doubt that given the position of both magnets, it will still be compatible with wireless charging. Positioning is identical to MagBak, which is said to be 100% compatible. That price includes the case also. First company to offer a wireless charger+magnetic mount will get rich in no time.